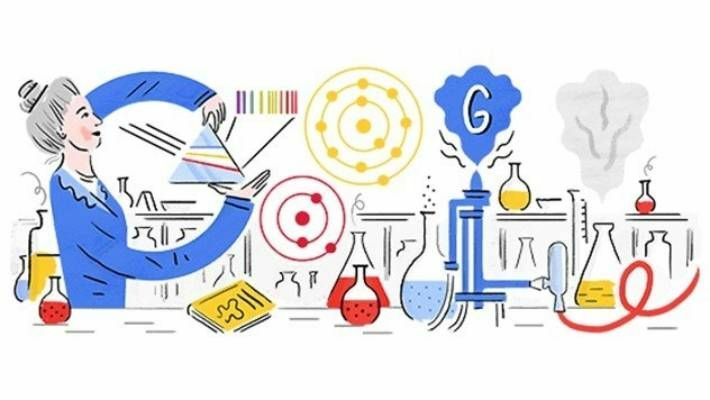 The life of Hedwig Kohn, who broke down boundaries in science for women, is being honored by Google in its latest Doodle on what would have been her 132nd birthday. Born in Breslau, which is now present-day Wroclaw, Poland, in 1887, Kohn did not allow the limited opportunities for women and Jews to prevent her from making waves in physics. Breslau was where she obtained her doctorate and she taught students at its university during the World War I. There she became one of only three women to obtain the qualification to teach university-level physics before the outbreak of World War II. She specialized in the measurement of light and radiation, from ultraviolet light to atomic and molecular spectroscopy. She contributed over 200 pages to a major physics textbook in 1929, which was still being cited into the 1970s, according to the Jewish Women’s Archive (JWA). But the rise of Nazi Germany meant that her position was revoked in 1933, as Jews were not allowed to have government jobs. She did not let this setback stop her, and she continued her studies and developed her contacts. Tough immigration rules meant she could only leave Germany if she had a guarantee of two years' employment, which was tricky for a Jewish, female physicist, the JWA noted. But her contacts managed to get her three year-long teaching contracts, allowing her to get passage to the U.S. where she flourished. There she served as professor at the Women’s College of North Carolina and then obtained a post at Wellesley College in Massachusetts. Her work on electromagnetic radiation and atomic and molecular spectroscopy was widely respected in the physics community. More than 20 journals published her work, and after she retired she spent 12 more years undertaking independent research at Duke University, Raleigh, where she set up a laboratory. She died in 1964 aged 77, but her research on measuring the intensity of light was still cited by physicists over a decade after her death. Although the end of her career and her life were a long way from where she started out, the American Institute of Physics noted that she always took pride in her city of Breslau, which produced a large number of prominent scientists. In an interview with the AIP in 1962, she said although she was only the second woman doing physics at that university, she did not think her gender meant she was treated any differently, and was always confident that opportunities for women scientists would develop. The Google blog notes that even though her research is no longer applicable today, she should be remembered for her pioneering work and dedication in a male-dominated profession. This story has been updated to correst the spelling of the city of Raleigh.